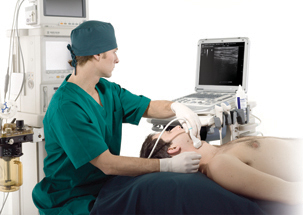 The M7 Diagnostic Ultrasound System is designed to meet the needs of clinicians' busy and challenging point-of-care environments. With M7's crystal clarity and crisp, clear image quality, it can perform any exam, from abdominal to vascular to cardiac, with efficiency and accuracy. Just by choosing a transducer, the M7 brings you more benefits in more ways than ever with wellness within reach. 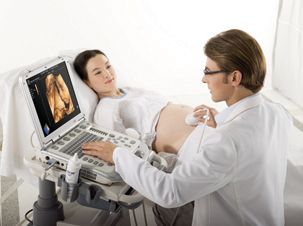 The high performance ultrasound lets you scan more. Embedded IMT (Intima-Media Thickness) software detects edge with mean and maximum thickness values. New transducer design: the ergonomic and lightweight design allows users to scan in 2D as with a standard convex probe. New 4D transducer: with its ergonomic and lightweight design, it offers clinicians increased scanning speed, making 3D/4D acquisitions quick and easy. The M7 is designed for use in all point-of-care environments. 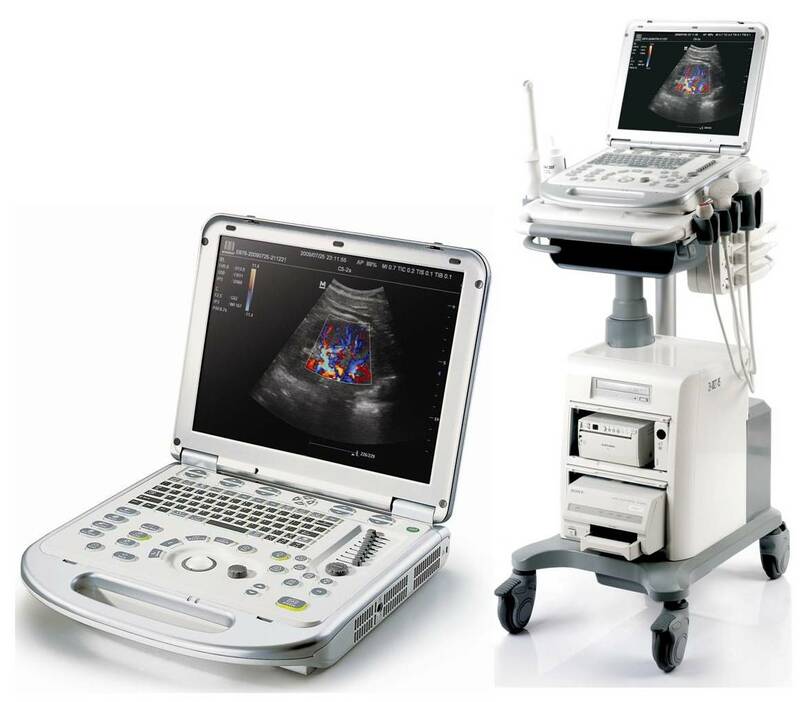 It delivers premium imaging performance across a broad range of specialties. Providing fast and accurate data, the M7 enables clinicians to achieve an enhanced level of diagnostic confidence and efficiency. With its robust magnesium construction with anti-shock and anti-splash features, it can perform diagnostic exams anywhere, in hospitals or in harsh outdoor environments. 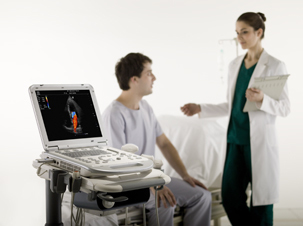 Clearly designed with the power of leadership, MINDRAY technology is available to all clinicians. Developed by a world-class medical equipment solution provider, the M7 features an extremely powerful battery and cutting-edge innovation. With its ergonomic mobile trolley and performance and features comparable to those of a conventional cart-based system, it provides mobility with power and improves your productivity. In short, the M7 delivers the power and productivity of a full-size system in a hand-carried size.